One of the things that is needed on android in android phone when there is a picture or something that is important and should be immortalized by capturing the image or commonly called is a screen capture on android. 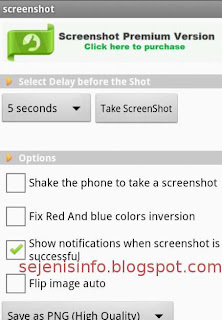 And this is some screen capture application to perform in android phone and usually there are some paid applications and free applications are also required to capture android screen takes root and without root, here I will give you or recommend a screen capture application with android application and without application. The easiest of course is with no apps and of course rooting access is not required. And unfortunately I can only capture android without root this way is only used for android samsung galaxy and others may be different ways to do it. I previously did not know the way but with learning and googling I finally found this way very easily, to his knowledge that I take and I posted here I hope he's not upset that I forgot to blog that I read about how to capture screen in samsung android galaxy phone. 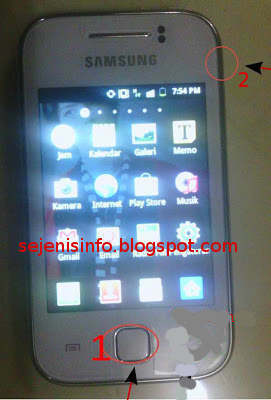 * How Screenshot without drawing android application and without root on samsung galaxy Y GT S5360. 1. Turn on your android phone :). 2. After your android phone on and navigate into the image or screen on the android phone to take pictures or to capture screenshot. 3. Image is ready to be shot, hold a button on the center and if the screen appear other option then press on the right button is back button once, to start capture click button on/of until the sound heard and images will be save in the screenshots folder on your sdcard. 4 To determine the results open the gallery and see the screenshots folder there are the results. Android samsung gt S5360 we should be more careful or cautious to press the home button and the power button because if one of the screen capture does not work. So for a little explanation is that first hit the home button which is located in the center bottom of the android phone and then press the power button simultaneously for a few seconds and press ahead approximately up to 2 or 3 seconds and release. There are some screen shots android apk apps free or paid which are in google play we can choose according to our choice and according to your needs and we download and install. 1. No Root Screenshot It, android screen capture application which is paid but its use does not need to root our android phone so it can be directly used. 2. Ultimate screenshots made by Ice Cold Apps. 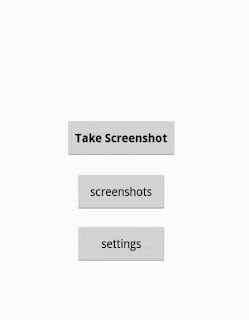 Screen capture apps for android that there are two options one could with root and does not require root. 3. Screenshot by Kastor Soft, we can save the results of capture to image JPG, BITMAP or PNG. And there are some other chosen to play like a photo automatically or shake your Android to capture images.